I've often struggled with the idea of an author newsletter. The idea makes me feel bashful. On the other hand, I receive several good ones in my inbox. So I asked bestselling author Sandra Gulland to share some wisdom about what makes a great newsletter. Thank you, Sandra! --Sarah P.
In my decades as a published author, I've learned a few things about the author newsletter. First: it is the single most important thing you can do to reach out to your readers. Experts on book promotion say that an author's newsletter is more effective than any amount of social media (although social media certainly helps). Fortunately, sending out a newsletter is also one of the easiest things to do. Decades ago, I started out with a simple email sent to family and friends. I quickly learned that there was a limit to how many emails my computer mail program was willing to handle. That's when I discovered the need for an email service. (I use GroovySoup, but many authors use MailChimp.) For a reasonable fee, an email service will provide you with a newsletter template, maintain your email database, and give you statistics (how many opened your newsletter, for example, and which links were the most popular). However, the purpose of this post is not the mechanics of the author newsletter, but the "art" of it, a subject suggested by Sarah. Like any art, it takes a bit of time. I revise my newsletter several times over, and before I send it out I have a few people read it and make suggestions. I imagine I'm writing to my closest friends and family, so that the tone of my newsletter is close and familiar. I feel it's important to give nuggets of news: the newsletter shouldn't be too long, and it should be easy to skim. The headlines, too, should attract interest. There should also always be visuals. I use Google image search and my own photos. Be sure that the images you use are in the public domain. Wikipedia images are available for use, as a rule. I just found some charming holiday images that are available for free. I will use this image in future newsletters and on my blog to give a visual cue to the subject. The subject header in your newsletter is important. Imagine all the email people get! The subject header is what will make someone decide whether or not to open your newsletter. Write about a variety of things: your research, your work, your travels — your news! — but also even notes about what you might be reading, or a special letter you got from a reader, or a writing tip. It's extra nice if you offer something of value to your readers. The best thing to do is to sign up for author newsletters yourself. In this way you will see what engages interest — and what does not. You can see my latest newsletter here. (And yes, there is exciting news in it!) And, of course, I wouldn't be professional if I didn't point out that you can sign up for it here. 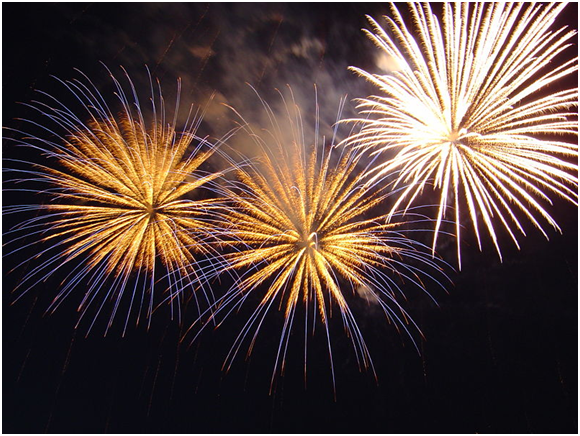 May you have wonderful news to share with your many fans in 2013! 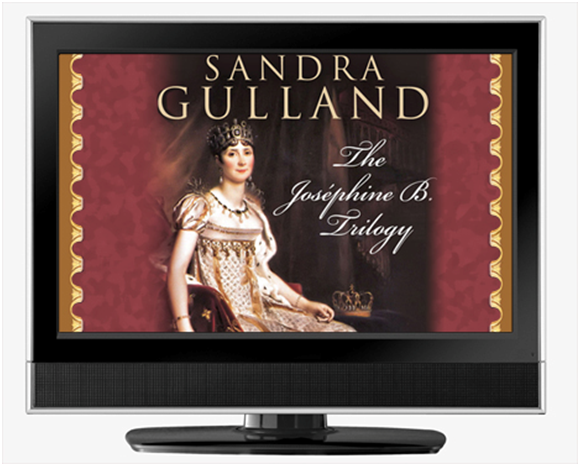 You can find more of Sandra Gulland's writing on her website. Or follow her @Sandra_Gulland.